* The price of a trip on "The Transition" includes your saltwater fishing license for the day(s) of the trip on the boat. * Fishing regulations change periodically. For the most current regulations visit the Florida Fish & Wildlife Commission site. CLICK HERE!!! for Recreational Saltwater Fishing Regulations By Species - sizes, bag limits, seasons and other important info. This is a brief summary of regulations governing the taking of saltwater species in Florida for personal use. It is not intended, or designed to provide specific information on commercial harvesting of these species. The failure to include complete laws, rules, and regulations in this summary does not relieve persons from abiding by those laws, rules, or regulations. State waters extend to 3 nautical miles on the Atlantic and 9 nautical miles on the Gulf. Federal rules apply beyond state waters. For species that do not have an established bag limit, more than 100 pounds or 2 fish per person, per day (whichever is greater), is considered commercial quantities. A saltwater products license and commercial vessel registration is required to harvest commercial quantities of unregulated species. Saltwater licenses are sold at all county tax collectors’ offices and at many bait-and-tackle shops. Licenses may also be obtained over the telephone by dialing toll free, 1-888-347-4356. For those with Internet access, licenses are now available at MyFWC.com/Marine. An additional fee is charged for these services. For any additional information not contained in this publication, please call your local county tax collector’s office. Any person who has resided in Florida for six continuous months prior to applying for a resident license and who claims Florida as their primary residence. Any member of the U.S. Armed Forces who is stationed in this state. Gold Sportsman’s License (One-Year License includes Hunting, Saltwater Fishing and Freshwater Fishing Licenses; and Type I Wildlife Management Area, Archery, Muzzleloading Gun, Turkey and Florida Waterfowl, Snook, Crawfish Permits)… $83.50. 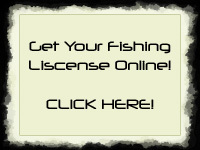 Florida residents may buy a lifetime saltwater fishing license or a lifetime sportsman license. Holders of lifetime saltwater fishing licenses may fish in saltwater for life and will pay no additional fees. The lifetime license includes the taking of snook or crawfish – which would otherwise require a separate fee. A lifetime sportsman license allows holders to fish in freshwater or saltwater and to hunt in Florida. Both of these licenses require holders to obey fishing or hunting laws in effect at any given time. A Florida resident fishing for saltwater fish in freshwater from land or from a structure fixed to the land. A Florida resident certified as totally and permanently disabled, who possesses a Florida Resident Disabled Person Hunting and Fishing Certificate. Applicants need to provide a certification of total and permanent disability from the United Stases Armed Forces, Railroad Retirement Board, Florida Worker's Compensation or the United States Veterans Administration. Alternatively, current documentation for the Social Security Administration for Supplemental Security Income (SSI) or Supplemental Security Disability Income (SSDI) benefits also will be accepted. Military Gold Sportsman’s License (includes Hunting, Saltwater Fishing and Freshwater Fishing licenses; and Wildlife Management Area, Archery, Muzzleloading Gun, Turkey and Florida Waterfowl, Snook and Crawfish Permits). Military Gold Sportsman’s License (includes Hunting, Saltwater Fishing and Freshwater Fishing licenses: and Wildlife Management Area, Archery, Muzzleloading Gun, Turkey and Florida Waterfowl, Snook and Crawfish Permits). Am I exempt from purchasing a saltwater fishing license? For more information or for applications for Lifetime licenses contact your county tax collector's office or the Fish and Wildlife Conservation Commission. Additional regional gear restrictions may apply in your county. Call the local DLE offices listed here. Hook-and-line anglers must tend their gear at all times to prevent people, marine life, and shore life from becoming entangled in the line or injured by the hook. Also, it is against the law to intentionally discard any monofilament netting or line into or onto state waters. Monofilament line can entangle birds, marine mammals, marine turtles, and fish, often injuring or killing them. Bully nets (for lobster only) no greater than 3 feet in diameter. Frame nets and push nets (for shrimp only) no greater than 16 feet in perimeter. Handheld landing or dip nets no greater than 96 inches in perimeter. Cast nets measuring 14 feet or less stretched length (stretched length is defined as the distance from the horn at the center of the net with the net gathered and pulled taut to the lead line). Cast nets may be used as harvesting gear for the following species only: black drum, bluefish, cobia, flounder, mullet, Florida pompano, red drum, sheepshead, shrimp, Spanish mackerel, spotted seatrout, weakfish, and unregulated species. Beach or haul seines measuring no larger than 500 square feet of mesh area, no larger than 2 inches stretched mesh size, not constructed of monofilament, and legibly marked at both ends with the harvester’s name and address, if a Florida resident. Non-residents using beach or haul seines for recreational purposes are required to have a commercial saltwater products license and legibly mark the seine at both ends with the harvester’s saltwater products license number. Beach or haul seines may be used as harvesting gear for the following species only: black drum, bluefish, cobia, flounder, mullet, Florida pompano, red drum, sheepshead, shrimp, Spanish mackerel, spotted seatrout, weakfish, and unregulated species. The use of powerheads, explosives, chemicals, or the discharge of firearms into the water to kill or harvest marine life is prohibited in state waters. Many anglers are unsure or unaware of how bag and possession limits affect them during fishing trips that exceed one fishing day. Bag limits are daily limits for the 24-hour period beginning at midnight and ending the following midnight. These bag limits may not be exceeded at any time and are not considered "per trip" limits. What's important in this definition is that once you have caught and possess the bag limit for a species, you may not harvest any more of this species until the next daily period. Taking the catch to shore and then going back to harvest another daily bag limit is illegal. But what if you were fishing in the Bahamas? In this instance, you are subject to the environmental laws of the Bahamas and a violation of their rules may constitute a violation of U.S. Federal laws. Contact the U.S. Coast Guard and Bahamian officials for current information. Or what about camping on an island in state waters? Are you able to possess an equal number of bag limits as the number of days fished? In this case you are restricted to one daily bag limit regardless of the number of days fished. Tarpon - has no daily bag limit, but it is illegal to posses more than two tarpon at any time. Any tarpon possessed must have tarpon tag affixed. Reef fish (snappers and groupers included within the aggregate bag limit, hogfish, Atlantic coast red porgy, and Atlantic coast black sea bass)- Any person who has fished for more than one day may possess double the daily bag limit once such person has departed the fishing site and is no longer within 100 yards of any state waters, docks, fishing piers, or other fishing sites. Additionally, any person who has fished aboard a charter vessel or head boat on a trip that spans more than 24 hours may possess double the daily bag limit provided that the vessel has a sleeping berth for each passenger aboard the vessel and each passenger possesses a receipt issued on behalf of the vessel that verifies the length of the trip. If further clarification is required, please contact your regional FWC office. For any fish for which spearing is expressly prohibited by law. In any body of water under the jurisdiction of the Department of Environmental Protection, Division of Recreation and Parks (Possession of spear fishing equipment is prohibited in these areas, unless it is unloaded and properly stored.) Fishermen who catch and/or sell fish harvested by spearing are subject to the same rules and limitations that other fishermen in the state are required to follow. In emergencies, or if state fisheries, wildlife, or boating laws are being violated, call 1-888-404-FWCC (3922) or for cellular phone user throughout the state, dial #FWC or *FWC depending on your location, or hailed on VHF Channel 16. The Division of Law Enforcement patrols Florida's coastal waters to provide assistance to boaters and anglers as well as to enforce Florida's saltwater fishing and boating laws. FWC officers assist boaters who are in distress, and provide advice and direction to those who are traveling Florida's coastline and waterways. They may issue citations for violations of state and federal fishing, wildlife, and boating laws.